By popular demand, Beato USA is now making CUSTOM Combo Amplifier Bags for all combo 1/12 and 2/12 combo amps. 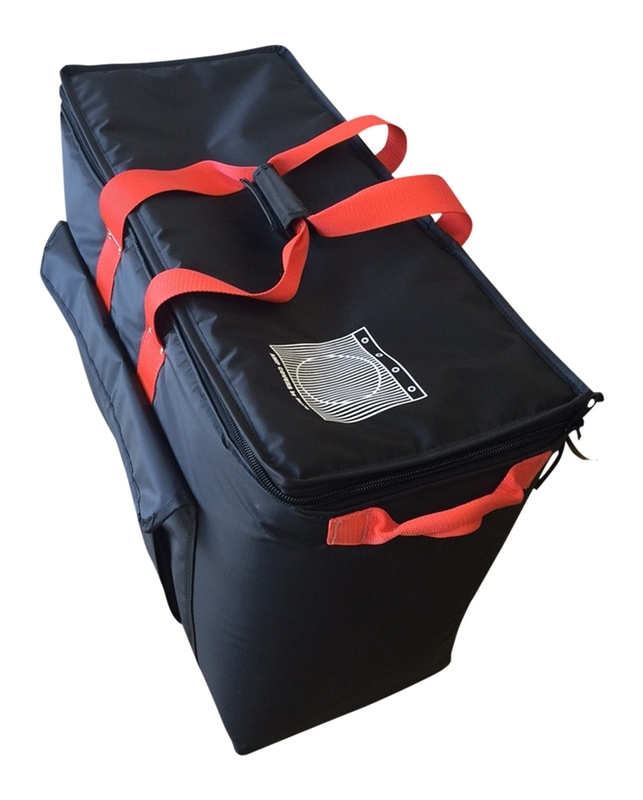 Made with the same hard performing PRO 1 material and 5/8" foam as our famous Beato Pro 1 Drum Bags, the bags of the Pros since 1982. 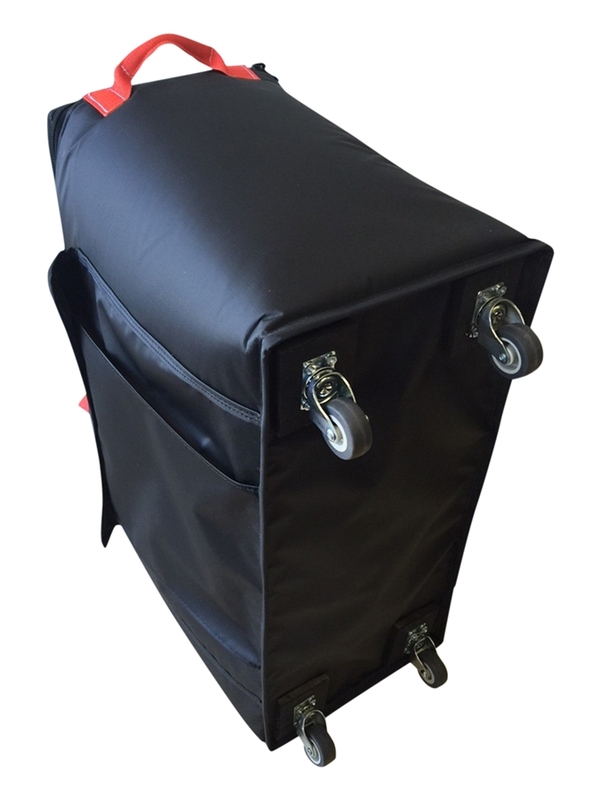 These combo amp bags are water-proof, rip proof, have a reinforced plywood bottom, heavy duty ball bearing wheels, and Y.K.K. heavy duty 10 CF zipper. 9 color options for the webbing handles: Red, Blue, Orange, Yellow, Silver-Gray, Purple, Rainbow, Black, Green. Please contact Beato at (310) 637-1180 or Fred@beatobags.com when ordering your bag to provide your amp specs and color choice. INTRODUCTORY PRICE: $199.50 INCLUDES SHIPPING for a limited time.